Customizing your Firefox homepage can be a great way to add a more personalized touch to your web browsing experience, whether you're using Firefox on a computer or on iOS and Android devices. Here's what you need to know about changing your Firefox homepage and making it your own. The Firefox homepage, sometimes referred to as a start page or home screen, is the first page you see when you launch the Mozilla Firefox internet browser. The contents of the Firefox homepage on a desktop can be customized to load a specific website, a completely blank page with nothing on it, or a variety of Firefox widgets showing your most-visited websites. On mobile, the Firefox app will display a blank page, a custom web page defined by you, or a collection of thumbnails for your most-visited websites called Top Sites. 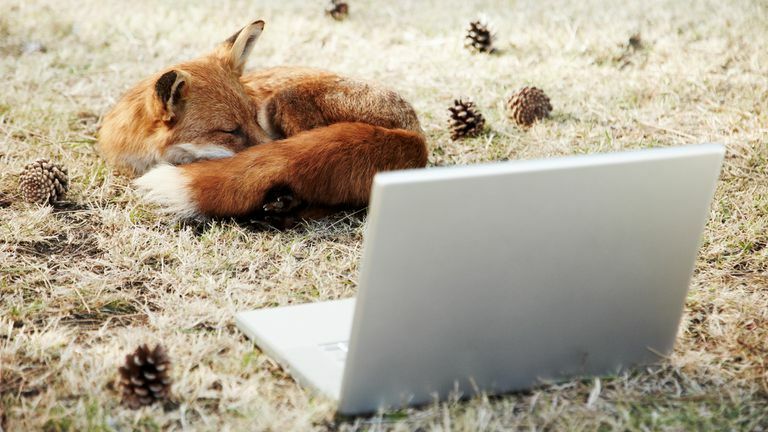 Setting the Firefox Homepage on a computer is quick and easy, meaning you can do it countless times without issue. Of course, Firefox has to be running for you to set the homepage. After opening the Mozilla Firefox browser on your macOS or Windows computer, select the three vertical lines icon in the top-right corner of the screen. Select Home from the menu on the left side of the screen. At the top of the next screen, you should see the words Homepage and new windows next to a drop-down menu. Select the drop-down menu to reveal three options for your Mozilla Firefox browser homepage: Firefox Home (Default), Custom URLs, and Blank Page. Select the homepage option you want from the drop-down menu. The change will enable immediately. In the official Firefox app on iOS, the home screen will, by default, display the Top Sites option, a collection of thumbnails linking to your favorite websites. These can be removed by performing a long tap on each thumbnail, then tapping Remove from the pop-up menu. Similarly, you can add websites to your Top Sites by performing a long tap on a site once it's loaded, then tap Pin to Top Sites from the pop-up menu. Tap on Settings > General > Home > Set a Homepage. The Firefox Home homepage option loads a special screen within the Firefox browser when you open it. This screen displays small icons for some of your most-visited websites, larger image previews of pages you've recently visited or saved, and promotional blocks, referred to as snippets, created by Firefox and its related companies. By entering a website's address into the Firefox homepage Custom URL field, the browser will immediately load that page next time it's launched without you manually inputting the address. This can be useful if you tend to check the same website every time you open Firefox. Common examples people use would be a social network like Facebook or Twitter, or their email service's website, such as Gmail or Outlook. Tip: If you're on a web page you'd like to make your Firefox homepage, instead of opening up the Options screen, simply select the website's icon to the left of its URL and drag it to the small icon that looks like a house. What Does Firefox's Blank Page Setting Do? The Blank Page homepage option in Firefox will simply load a completely empty page when you open your browser. This option usually makes Firefox open faster as there's no additional content to download from the internet. Changing your Firefox browser's homepage settings is purely optional and is not required to use the program for browsing the internet or to use any of its other features.